The delivery times may vary, see cgv contact us before the purchase to have the exact deadlines. By clicking on immediate purchase, the customer certifies having read and accepted the general conditions of sale! Available at the bottom of this. Excellent resistance to thermal variations and abrasion. Yamaha t-max 500 2001 -> 2011. The processing time of your order can vary 5 to 15 working days, contact us before the purchase !! be careful to choose its delivery method before paying. Mondial relay only for mainland France not the islands, like Corsican .. the processing time of your order can vary 7 to 15 working days, contact us before the purchase !! other thousands of pieces with misterbike-fr. Anti-theft devices, batteries, spark plugs, chain kits, pinions, crowns, chains, clutch discs, air filters, oil filters, fuel filters, oils, engine gaskets, spinnaker gaskets, brake levers and clutch handles, grip handles, gear jaws brake, fixed and floating brake discs, brake pads, motorcycle tires, cross and enduro tires, scooter tires, quad tires, inner tubes, lamps and spotlights, wheel bearings and steering bearings, spraychain, turn signals, mirrors, tubes forks, cables, tank caps, handlebars, bridges, bolts, handlebars, valves and stoppers, contactors, workshop saddles, footrests, belts, exhausts, tools, top cases and windshields. Helmets, rain gear, clothing and anti-cold accessories, tire cover, etc. 03.25.55.74.71. Monday to Friday from 9h-12h to 14h-18h. 06.62.69.50.19. 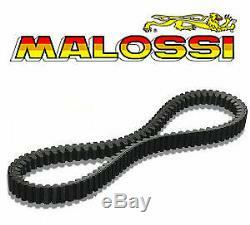 The item "belt cranked x kevlar belt malossi yamaha t-max tmax 500 2001/2011 6114674" goes on sale since Tuesday, July 7, 2015. It is in the category "auto, motorcycle parts, accessories \ motorcycle \ parts \ other ". The seller is "misterbike-fr" and is located in saint-dizier, champagne-ardenne.